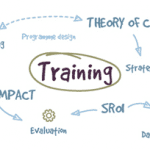 Lloyds Bank / Bank of Scotland commissioned NEF Consulting to understand the real social impact of CSR and what companies could do to strengthen and deepen relationships with communities and individuals. Measure CSR robustly to demonstrate the real social value investment. CSR to be transparent about the impact investment. Companies can use the power of their brand as well as investment to promote good causes. 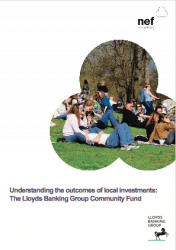 Interviews with Community Fund beneficiaries and Lloyds Bank employees revealed that, for some, the Community Fund was a lifeline with 88% of beneficiaries stating that local changes could be attributed to the investment. More broadly, the research shows the importance of moving past the premise that the act of giving alone can create change. Using data from projects and after projects have been completed helps to scrutinise the impact created. In the case of Lloyds Bank / Bank of Scotland’s Community Fund, local promotion of every shortlisted charity and community group is just as important as the investment itself. Read Graham Randles’ blog here.